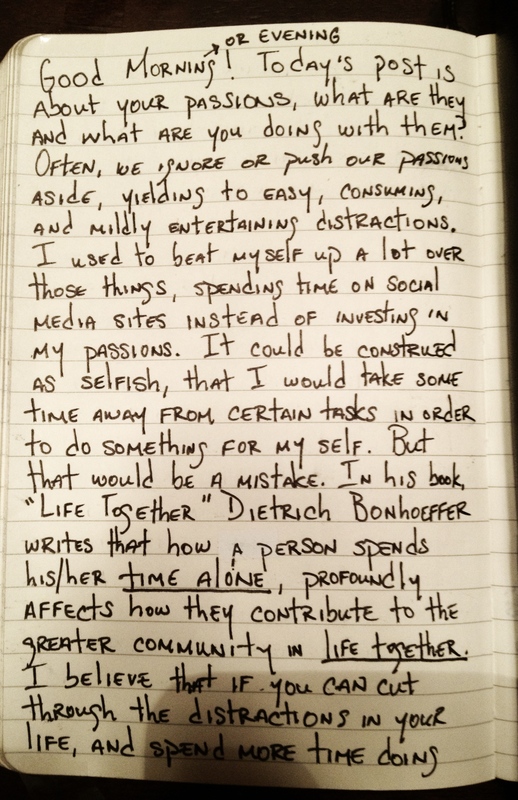 What are Your Passions, and What are You Doing About Them? Today’s post is hand-written, because I miss it. Hope you enjoy the medium and can read it ok. Have a great day! 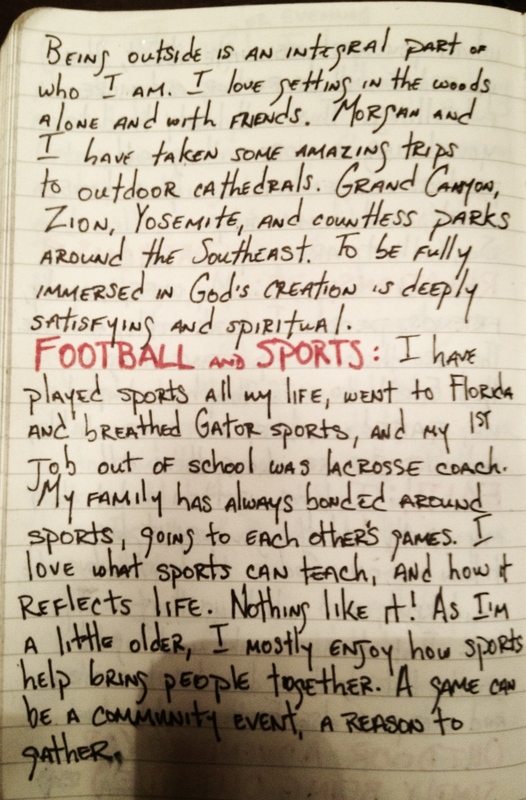 This entry was posted in Personal and tagged books, journal, life alone, life together, moleskin, passions, reading, relationships, sports, writing by mattragland. Bookmark the permalink. 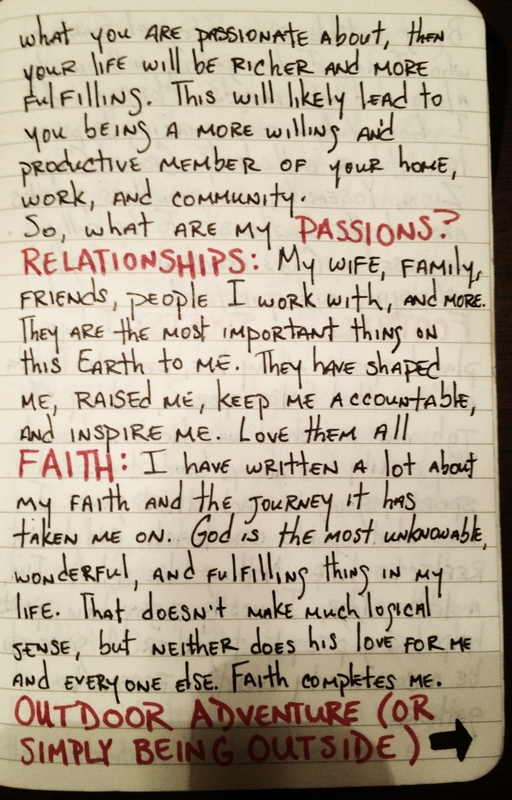 I believe in relationships being a very important part of our lives. It’s coincidental that you’ve jotted down relationships because I have also decided relationships are going to my focus for this year. We can strive to achieve many things but ultimately, it’s the people in our lives that matter the most! You are 100% correct on relationships meaning the most. Because even in what we hope to achieve, how does that impact the people we are close to, and even the people/customers we hope to reach in our achievements? Thanks for reading! My daughter, Mary Elizabeth, told me about your blog — after I had posted today using my visual journal to talk about the Samaritan woman and other thoughts. 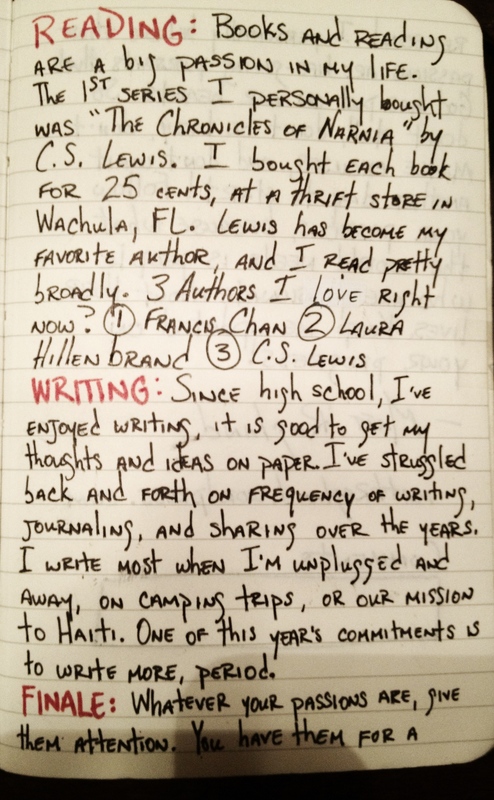 I know she enjoyed going to Haiti with your wife and you…having read the blog, I sure do see why! p.s. Many years ago, I used to spend some time near Black Mountain gathering supplies for the camp where I worked on breaks — Pioneer Plunge on Windy Gap property. This is awesome. YOU. are awesome. 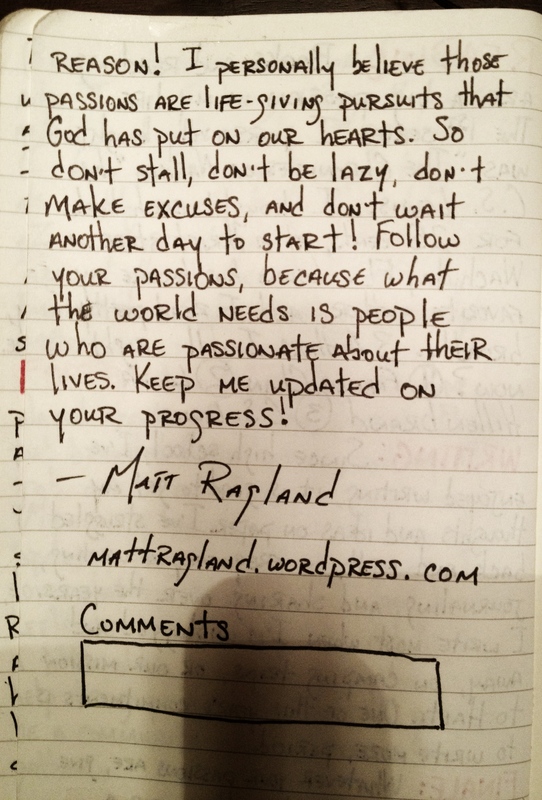 I needed a quick reminder on how awesome hand-written letters and … things are. Thanks Cassie, your encouragement and kindness are a good start to the day!